This the 12th year of the festival which will take place over the spring bank half term holiday from Thursday 1st to Sunday 4th June at Uttoxeter Racecourse, in Staffordshire. This year's themes is Stem Punk and Vistorian Fantazia.  Acts confirmed so far include Fairport Convention, Sam Kelly Trio, The Christians; Jennie Belle Star Ska Band; Seize The Day, Howard Jones, The Hoosiers, Thrill Collins, Sam Evans Band, and Ed Tudor-Pole, Martin Turner (ex Wishbone Ash), Gaz Brookfield, Boy on a Dolphin, TV Smith, Nick Harper, Nell Bryde, The Bar-Steward Sons of Val Doonican, and more. See the line-up page for the full details so far. More acts are still to be announced. New for 2017 is the introduction of a Late Night Blues Bar with 14 blues artists. There's also a comedy stage every afternoon. Tickets are on sale priced at £95 for the weekend, with camping £20 extra. Campervan tickets are £22, but *ALSO* needs a camping ticket for each person. A child (aged 11-15 years) ticket is priced at £35, a child (aged 5-10 years) ticket is priced at £20, and an infant (0-4 years) ticket is priced at £1. An additional Thursday + FREE Camping (If Required) ticket is priced at £5. Caravan & Camper Van passes can be booked for £20 per vehicle (requires camping tickets) for all 4 nights. There will be 2 sites available for caravans and camper vans. The Main Festival campsite has 300 pitches on grass/hard standing. There is no extra charge for this. These pitches do not have electric hook ups. All occupants must purchase the relevant Weekend with Camping Tickets.